Halloween is full of vibrant images aching to be immortalized in poetry. 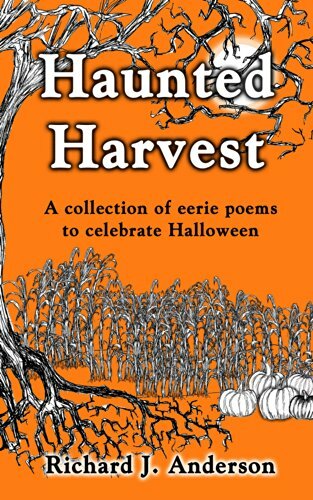 A short, but delightful Halloween poem book. 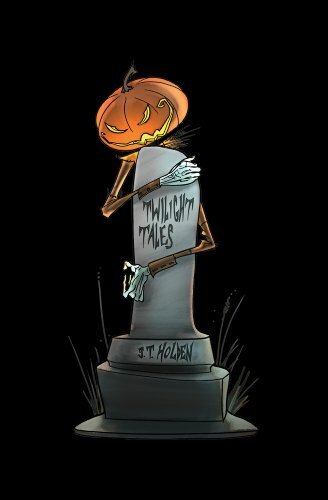 All ages will surely enjoy these scary atmospheric poems and the spooky artwork throughout. From a haunting encounter with a ghostly visage in ‘Old Woman’ to enchanting childhood recollections in ‘Autumn Memories’, this charming and eerie collection of poems that celebrates the Halloween season will become a perennial favorite for this other festive time of year. 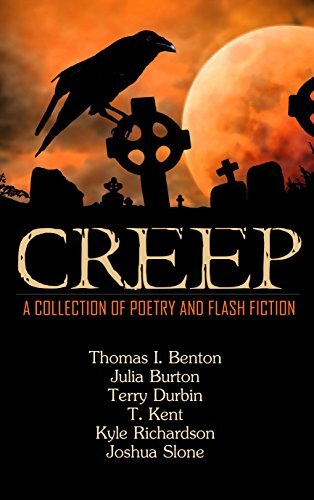 Creep is a collection of original poetry and flash fiction to celebrate the magic, the mystery, and the fun of Halloween. Ranging from check-the-door-locks scary to roll-on-the-floor funny, our anthology has a little something for everyone. So won’t you join us? We don’t bite … hard. 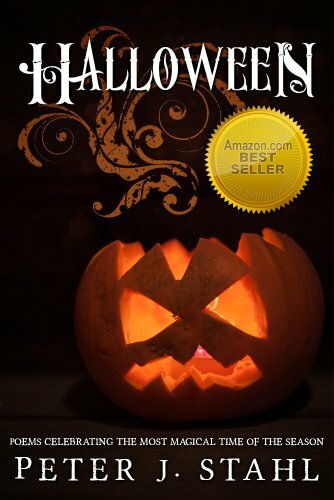 Celebrate the most magical time of the fall season with this remarkable collection of poems dedicated to the spooks, fantasies, festivities and traditions of Halloween. Whimsical, sentimental, and fun, they are great for reading at adult Halloween parties! This is the time of year you can be whomever you want. 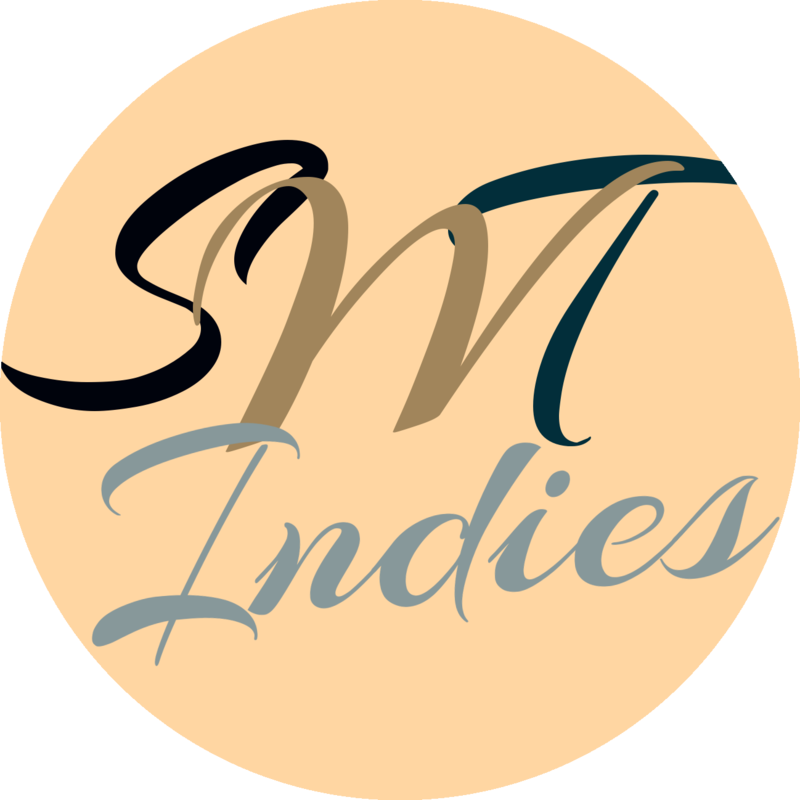 Explore your darkest fantasies, chilling remembrances, costume ideas and holiday delight harvested from a remarkable poet. Read to your children and loved ones! Mystify them by reading about the Swamp Water Taffy Monster, the “Faces In The Closet”, and tales of the Halloween Map.